Suffolk County Council in eastern England has begun the tender process for a new lifting bridge in Lowestoft. 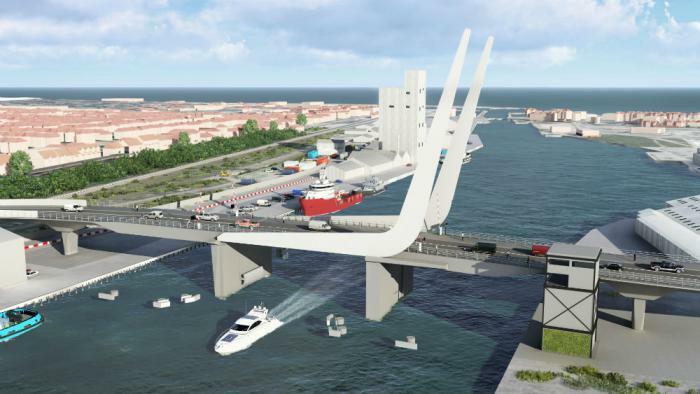 The design and build contract is for the Lake Lothing Third Crossing. The US$118m bridge's design was unveiled in August (link opens in new tab). 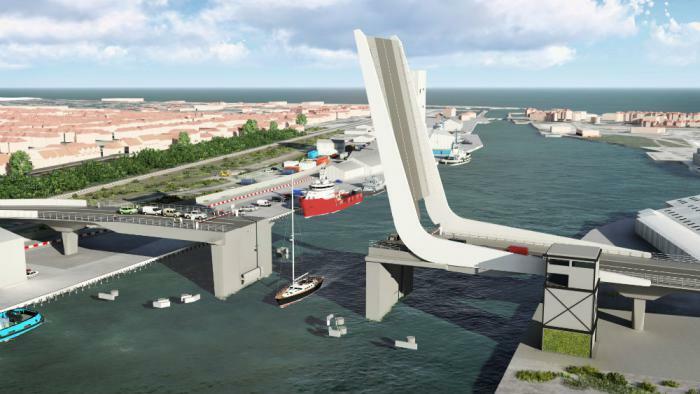 It will be a lifting bridge to enable tall vessels using the Port of Lowestoft to pass by. When closed, it will have greater clearance than the existing bridge to minimise the number of openings required. Hydraulic pistons will lift the bridge deck, so that it rolls back on the vertical part of the structure, which contains a counterweight. The contract will be let under a competitive procedure with negotiation. Details from www.suffolksourcing.uk (link opens in new tab).